Fully furnished. 1 full size bedroom downstairs, 2 full beds in 1 bedroom upstairs, 3 single beds in 3rd bedroom upstairs. Enclosed porch off of living room. gas grill, microwave, dishes, pots and pans, coffee maker. Picnic table and chairs, fire pit, ample dock space. Walking distance to both ferry and corner store. Free movie night on Tuesday which can be viewed on shore or boat via dual screen. We have openings July 30-August 6 and August 20-August 27 due to cancellations. Well known fishing all year long. Beautiful central location. Closeness to interstate 86. 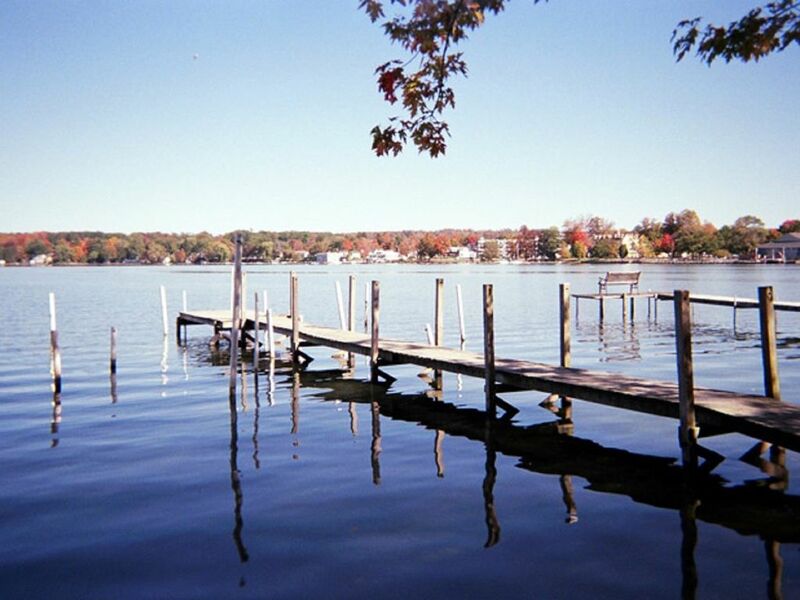 Beautiful views overlooking Bemus point all year. Bathroom has shower stall only. NO bathtub. Enclosed sun room with couch, 2 chairs, dining table with 4 chairs overlooking lake and Bemus Point. Chautauqua Institute within a 15 minute drive. Great fishing. Nearby wineries. 3 golf courses nearby. Lucille Ball Museum within 15 minute drive. Nearby skiing and spas. 3 amusement parks nearby. 2 casinos nearby. In the summer the Chautauqua Institute is a closed cultural community and a center for the arts. during the remaining months of the year Chautauqua and the surrounding areas offer fall foliage touring, antiquing, winery tours, cross country skiing. Downhill action at 3 ski areas. The Holiday Valley resort in Ellicottville, Cockaigne Ski area in Cherry Creek and Peek N Peek in Clymer are within easy drive. 2 casinos located within 45 minutes. Splash Lagoon located near 1 of the casinos. Multiple golf courses all within minutes away. Call for off season pricing. Availability off season includes 3 day stays, weekend stays or discounted weekly stays.